It is always nice to see a local business go into a building that is vacant; such is the case of 1436 Wealthy, a building shaped like a windmill. It sits across the street from Yesterdog in Eastown. For years, the building was occupied by Windmill Floral. It was most recently Ludemas Floral. I saw the owner, Michael Bowman, setting up his shop a few days ago. I decided to walk in and talk to him about his business. He’s been in the smoking paraphernalia business off and on for over 20 years. “I’ve always done it as a side job till now,” Michael explained. Michael owned a construction company called ATI that did contract work for 27 years. It was based out of Battle Creek, where he was born and raised. He explained to me that the construction business has slowed down significantly in the last few years. He decided it was time to turn his side job into a full-time business. I asked Michael why he chose the location he did. 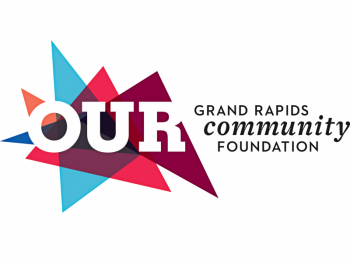 He explained that he had a contract installing Arial Cable in Grand Rapids in the early 1990s. He enjoyed the feel of the city. When it was time to find a location for his new business, he drove around the city. “I was driving around and saw this windmill building vacant and I knew it was the one.” “I really like the bohemian feel of Eastown; the people have been really nice and welcoming,” Michael said. Michael explained to me how when he was thinking about names he thought up the “Mystic Mill” and knew it was the right name for the store. 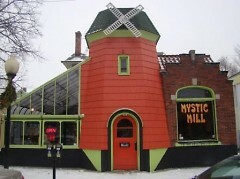 “At the Mystic Mill, our specialty is peace, love, and friendship,” Michael stated. 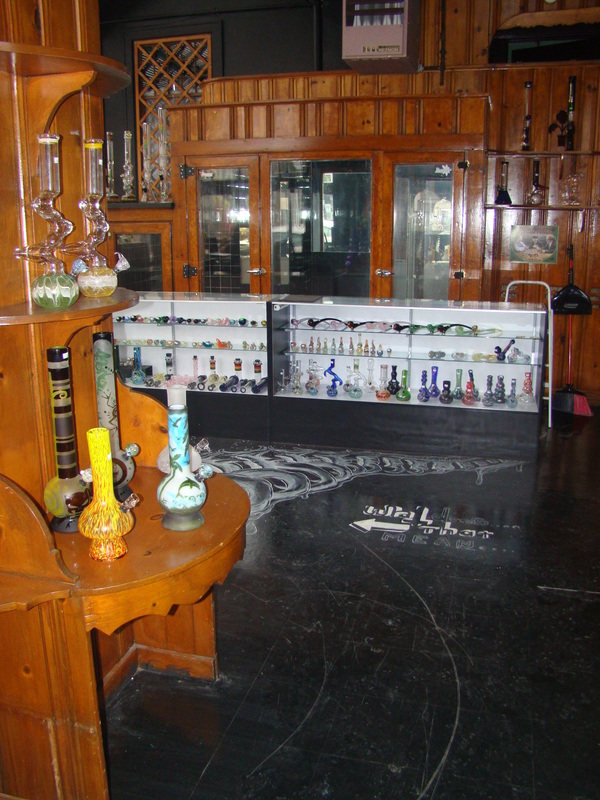 The Mystic Mill has a plethora of smoking accessories, hand-dipped incense and products that help purify your body. Michael explains that he is a "west coast shop," meaning that he carries all the accessories a smoker would need but not as many posters or t-shirts. All of the glass pipes in Michael’s shop are hand blown in the United States, a majority of which are from California. He also works with local glass blower and 2009 ArtPrize contestant Joe Sherry. 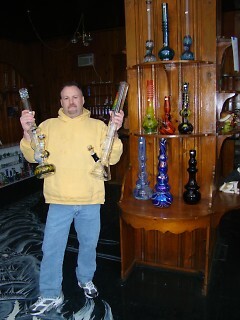 Michael specializes in higher end percolator water pipes. Percolators refine the smoke and remove the carcinogens to give the user a better experience. The grand opening of the Mystic Mill is February 1st. Michael is offering a 20% discount till February 14th to celebrate the opening. Michael also offers other unique specials, such as 10% off to college students and Eastown employees. He also offers 50% off anything on people’s birthday. He will have monthly raffles that are open to everyone. For every $25 purchase, the customer will be given additional ballots in the drawing, thereby increasing the chance of winning a raffle. This month, the winner will receive a 22" water pipe. The drawing will be held at the shop on Saturday, February 28th. Michael told me that he plans to donate money to the community and charity. He is planning on having three Toys for Tots drives a year. Those who bring in toys will receive 25% off any product in the store. He also will be conducting three raffle ticket drawings a year in which the proceeds will go towards helping Eastown and the local battered women’s shelter. “I am a man who is about the local community and giving away to charity,” Michael said. In the near future, the Mystic Mill will offer custom-built pipes where customers can submit their own design. They will also offer hand-blown wine glasses. 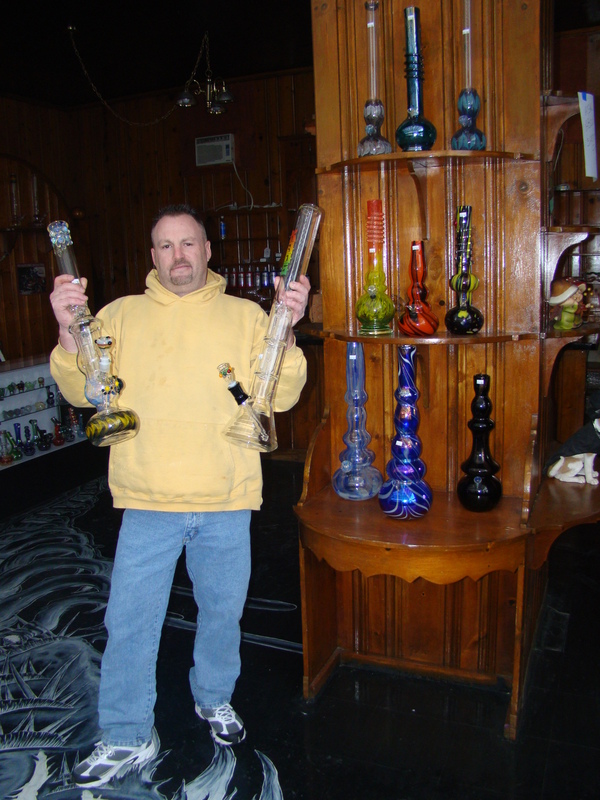 “I am an old school head shop with new school technology,” Michael said. The shop is open noon to 11 p.m. Monday thru Saturday, noon to 5 p.m. Sundays. This is a business that I would support. The owner hit the nail on the head by finding GR's bohemia. East Town has always had that vibe, so I think the business will do well. By the sounds of it, he's serving some good causes too. Thumbs up. Nick Alexander is now doing guitar repair in the back of Mystic Mill as well.